It’s no secret that the Mets had an excellent offseason, well, at least on paper and from the outside looking in. While the Mets have made major upgrades to their team, like in the bullpen and particularly behind the plate with the signing of Wilson Ramos. Many people still question the back end of the rotation with lefties Steven Matz and Jason Vargas, however there may be a bigger issue. Zack Wheeler is in his free agent year and Wheeler has come out and said that he’d love to sign a contract extension with the Mets, but the price would have to right. Basically, hinting that he doesn’t plan on giving the Mets a “Hometown discount”. So if Wheeler were to walk at the end of the season and test free agency, that would leave Matz as the number three starter in he rotation. While Matz wouldn’t be the worst number three starter, Dallas Keuchel probably would be the better fit. Keuchel’s career record is 76-63 with a 3.66 ERA and 18.3 WAR, throughout seven seasons. 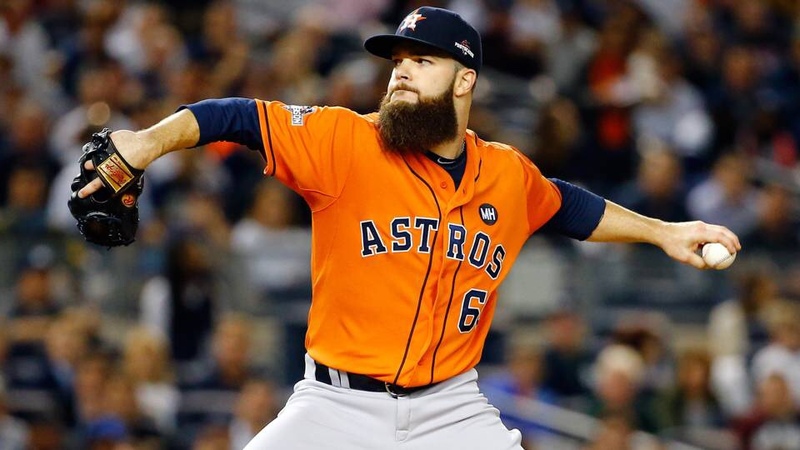 His best season came in 2015 when he had a 20-8 record and a 2.48 ERA in 232 innings pitched, only giving up 185 hits and striking out 216 batters in 33 starts for the Astros. Last season, in a career high 34 starts, Keuchel pitched to a 3.74 ERA while finishing up with a 12-11 record in 204.2 innings. While, I would never sign a starting pitcher to a multi-year deal because of an opposing team’s signing of a slugger, in this instance, I believe the Mets should go for it. With the Phillies spending “stupid money”, the signing of Keuchel to the Mets could make the Phillies look stupider than anticipated. So, this isn’t really a move to counter the Phillies signing of Bryce Harper, although it’ll definitely disguise itself as such. I like the signing of Keuchel as an insurance policy, just in case Zack Wheeler no longer finds himself in the Mets long term future. This will also balance the rotation out once the Mets are able to cut ties with Jason Vargas.